Beat Afternoon Fatigue with These Rejuvenating Juice Recipes! 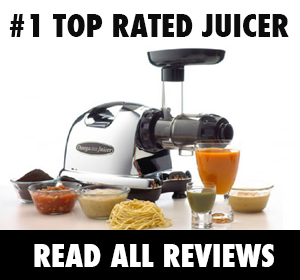 Juicing is a great way to get your daily dose of veggies...but why stop there? There's so much goodness to be had, after all, and a delicious juice - or smoothie - is the perfect way to sneak heaps of healthy things into your daily diet. 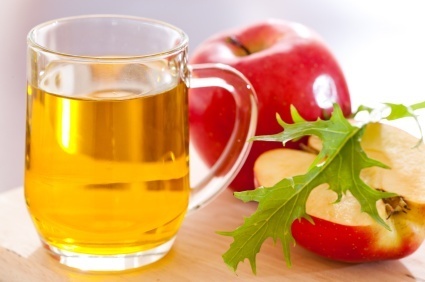 ​Apple cider vinegar is like the Swiss army knife of natural health supplements. You can use it as a teeth cleanser, a skin toner, a hair rinse, etc. And it provides an array of health benefits when consumed. ACV helps your body maintain a healthy alkaline level and will help balance your entire inner body system. It also helps stimulate cardiovascular circulation and detoxification of the liver. It’s been known to aid in weight loss, eliminating acne, and even reducing allergies and fighting yeast infections. Oh, and did I mention it seriously helps daytime fatigue? It’s a natural energy booster – without the caffeine crash. Simply add one or two tablespoons into your juices for its deliciously tart benefits. Make sure your ACV is raw, organic, unfiltered and unpasteurized – I highly recommend Bragg’s Apple Cider Vinegar. You can find it in most grocery stores or order it straight from Amazon for $5﻿! One of the reasons I love both juicing and blending is because a lot of the below supplements blend so much better into smoothies. Despite its unfortunate name, wheat germ is surprisingly yummy and will lend your smoothies a wonderfully toasty, nutty flavor. If you eat plenty of whole grain products, you probably won’t need this supplement – but for those of us who tend to eat a lot of whole wheat or white flour-based foods, wheat germ is a very wise addition. You see, wheat germ is the most nutrient-rich portion of the wheat seed but unfortunately, one of the parts of the wheat kernel that is discarded when making flour (both white and whole wheat) since its healthy oils can go rancid quickly – not so good for food production companies who want their products to have a higher shelf life. Fortunately, you can get the most nutritious part of wheat separately – and you should, especially if you’re on a juice fast since wheat germ will provide you with a lot of nutrients that you might be skipping out on. For example, wheat germ is packed with healthy fatty acids, protein, fiber, important B vitamins, and range of minerals including iron, zinc, magnesium, calcium, selenium and manganese. 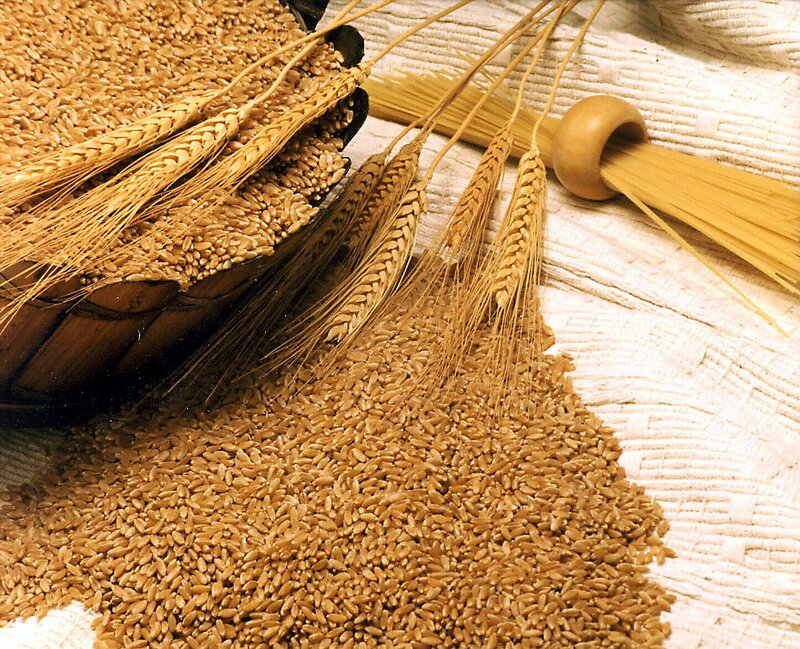 Wheat germ also has phytosterols that’s been shown to lower unhealthy cholesterol and help heart health. Oh, did I mention it contains plenty of the antioxidant, vitamin E? You can find wheat germ at the supermarket or order a huge supply for $21 on Amazon. You can get hemp seed in a finely ground powder that you can mix directly into your juices or smoothies – it only takes a minute and it provides health benefits that make it oh, so worth it. You see, juicing is great but fresh fruit and veggie juices contain very little protein and no fat to speak of. So if you are juicing a lot, on a juice fast, or a vegetarian (or vegan) – it’s a good idea to add some hemp seed powder to your juices. Why? For starters, hemp seeds are extremely high in protein (double that of flax seed) – one that is easily digestible and doesn’t cause bloating or gas like from whey protein. Hemp seed also contains all 20 amino acids, including the 9 essential amino acids our bodies cannot produce. It’s also a great way to get your fill of good fats – hemp seed is nature’s highest botanical source of essential fatty acids, with more EFAs than flax seed or any other nut or seed oil. It’s EFAs, however, are mostly Omega-6s – hemp seed contains a 3:1 ratio of Omega-6 Linoleic Acid and Omega-3 Linolenic Acid, as well as vitamin E and trace minerals. I really cannot recommend adding hemp seed into your juices enough – it’ll provide you the protein and good fats that juices don’t contain and it’s such an important supplement especially for people who are suffering from immune deficiency diseases like Hashimoto’s. I recommend Nuvita’s Organic Hemp Powder – you can get a 3 lb bag for $20 on Amazon! Hemp powder is a good option if you’re only mixing it into smoothies, but if you’re suffering from acne or clogged pores, I highly recommend hemp oil. This stuff is a must-have especially for acne sufferers and people with clogged pores as it is very high in Linoleic Acid. I actually do want to get into this for just a second since acne is a subject neary-and-dreary to my heart. Okay, sebum is normally made of Linoleic Acid, which is a fatty substance that comes out from healthy pores and serves the important function of moisturizing the skin and protecting it from bacteria. If you don’t produce enough Linoleic Acid, however, your sebum becomes made of Oleic Acid, which is thicker, dryer and the main culprit of clogged pores since instead of being nice and free-flowing, it gets trapped in the pores and develops into whiteheads that can mature into cysts (my worst enemy). A good way to determine if you suffer from this problem is if you have both dry skin and clogged pores – an unfortunate combo. Hemp oil helps you overcome this problem both internally and externally – add it into your smoothies (hemp powder is fine for this) and directly onto your skin. I recommend Nutiva’s Organic Hemp Oil – it’s a cold-pressed, high quality product at a reasonable price ($17). I’m lumping these 2 together since they’re pretty similar nutritionally – both are a great source of omega-3s (each has around 2,400 mg/tbsp) as well as fiber. 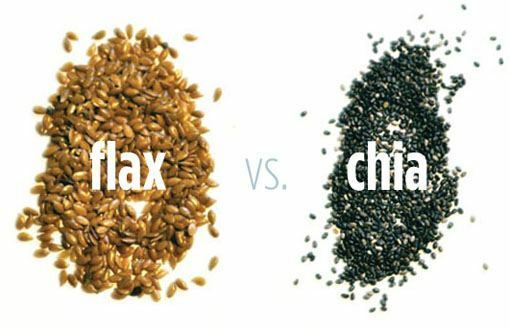 The most important difference between the 2 is that flaxseeds are a rich source of lignans whereas chia seeds are not. But wait…if I’m already taking omega-rich hemp seed, why do I need flax or chia seeds? Well, hemp is pretty much in a different category of health benefits. For starters, hemp is waaaaay superior in terms of protein – having around 50-75% more protein than either flax or chia. 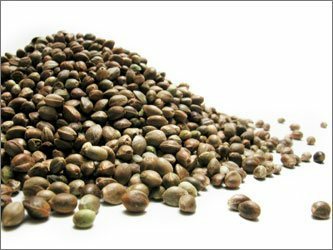 But – and this is a big BUT – hemp seed has pretty much no fiber content and is more rich in omega-6 fatty acids. A brief digression into the whole omega-3 vs omega-6 ordeal: The US population consumes 19 times more omega-6 fatty acids than omega-3s. Why is this not good news? Well, omega-3 fatty acids are anti-inflammatory whereas omega-6 fatty acids are pro-inflammatory. Our bodies need both of these essential fatty acids, but it’s no stretch to say that most of us are consuming waaaay too much omega-6 and not enough omega-3. Flax and chia seeds contain nearly three times as much omega-3s as omega-6s (2,400 mg for chia and flax vs 1,000 for hemp) and will help balance EFA consumption, making them a valuable addition to your diet. So, which one should you get? Well, depends. Flax seed is cheaper than chia, but chia tends to be rather tasteless and can be a little slimy (preferred by some, despised by others) whereas flax seed has a slightly grassy, slightly toasty flavor (liked by some, despised by others). So, it’s up to you. They're both pretty affordable, too - a 15oz bag of ground flax seeds is around $10 and a 16oz bag of chia seeds will run you around $10. I love this stuff and take it religiously, every day, in at least one of my juice-smoothie combos. It also goes on my face, my hair, my dog, and pretty much all over my body. It smells delicious, tastes delicious, and I am obsessed. So I’m adding it here. And it’s not just out of personal bias – this stuff is seriously good for you. For starters, this stuff is fantastic for helping your body handle blood sugar and a must for juicers who drink just juice in the morning and then experience a blood sugar spike…and the ensuing low. It’s also great for people who, like me, have hypothyroidism since coconut oil helps boost thyroid function. This yummy stuff also possesses antimicrobial, antifungal, anti-bacterial, and antioxidant properties and helps our bodies mount resistance to the viruses and bacteria that cause illness. Get yeast infections often? Take coconut oil. 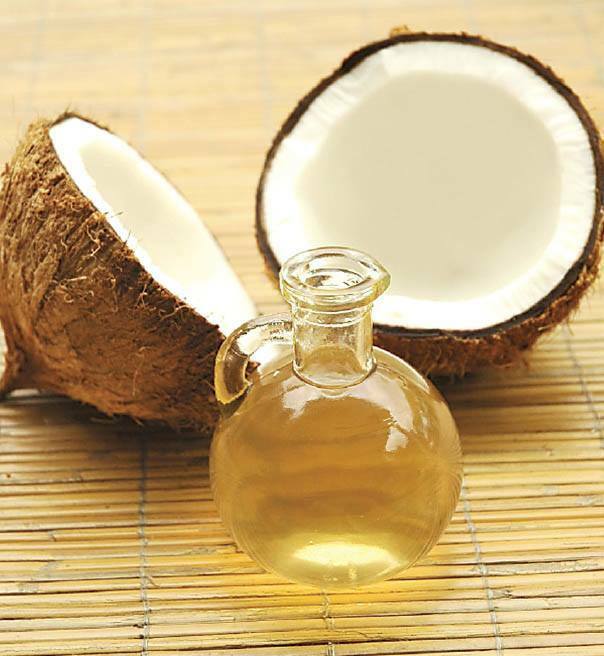 More coconut oil health bonuses: It helps lower cholesterol, burn energy leading to weight loss, and supply age-fighting antioxidants to the body. Plus, it lends a wonderful coconut-y flavor to everything you add it to. Yum. I like Nutiva’s Organic Extra Virgin Coconut Oil. Get a 2-pack for $17 on Amazon! You know green stuff is good for you, but if you’re not so fond of downing green juices *yet* – get thee some Spirulina to add into your juice-smoothies. Actually, even if you are chugging green juices like a pro, I still recommend Spirulina. Why? 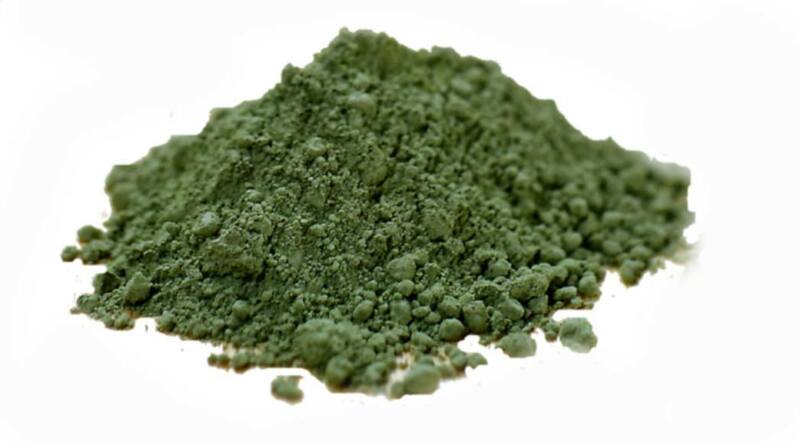 Well, Spirulina is a super high source of protein, minerals, vitamins, beneficial pigments and antioxidants. It has more calcium than milk, more protein than meat, tons of blood-purifying Chlorophyll, and has omega-3, omega-6, and omega-9s. The downside? It really does taste like pond water and it’s not recommended you add this into a veggie juice unless you have no gag reflex whatsoever. Spirulina is a must-blend supplement – add in enough berries and bananas and it’ll mostly mask the flavor of pond scum. Don’t let this scare you, though, this stuff is really good for you so just hold your breath and down the stuff! For spirulina, my brand of choice is hands down Nutrex's Hawaiian Spirulina - it's by far the best-tasting, best-quality spirulina around...and at a good price. 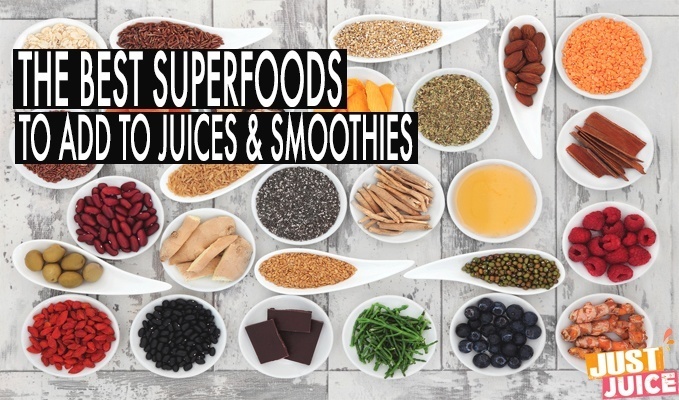 I’m in love with this stuff – how it makes me feel, how it tastes, how it makes me feel…it has a yummy earthy, nutty flavor that blends well into juice-smoothies and it energizes and revitalizes. I have so much more calm, focused energy when I add maca into my morning juice-smoothies and for this reason, I usually do. 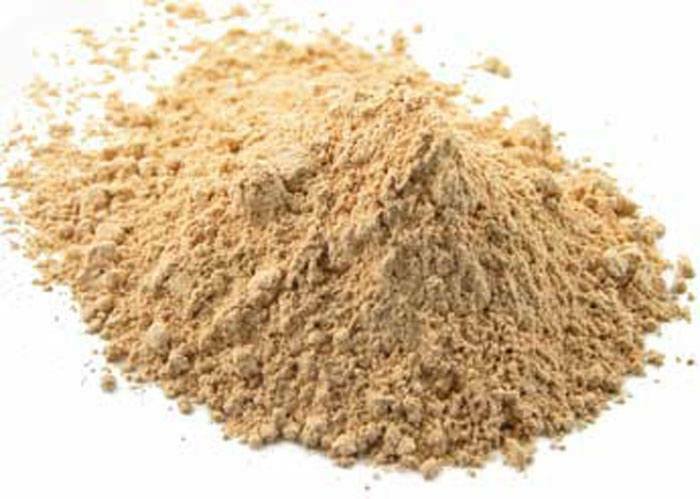 Maca is rich in protein, low in calories, and contains vitamins B1, B2, B12, C, and E as well as calcium, zinc, iron, magnesium, phosphorous, and amino acids. But my favorite thing about maca is its function as a hormonal balancer. Oh, and did I mention it boosts your libido and endurance? It’s also been very helpful for my menstrual cramps when nothing else has helped – flax seed oil, evening primrose oil, etc. – and even improves my general mood. Some women take maca to improve fertility and some even take it to gain a bigger behind! Whatever you take this stuff for – start slow. Maca is good in small doses as taking too much can result in adverse effects and take you for a not-so-fun hormonal ride. When you start, don’t take more than 2 tbsp daily. You can work up little by little from there. It’s also a good idea to go completely off maca every once in awhile – think 3 weeks of maca, 1 without – to keep its effects on your body. My favorite maca is Navitas Natural’s Organic Gelatinized Maca as the gelatinized form is without the starch and is thus more potent. Get it for $21 on Amazon! Note: If you’re located outside of the US, finding and ordering these supplements can be price-y. We highly recommend the website iHerb for finding supplements. They have a huge range of products and their international shipping fees are ridiculously low and sometimes FREE. Click here to get 10% off your first order! Want Free Fat burning, Skin Perfecting Juice Recipes? 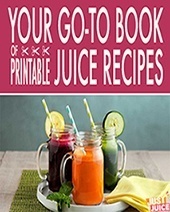 Perfect, 'cause we've gathered our favorite juice recipes into a printable juice recipe book you can download right now! Simple, tasty recipes perfect for beginners! Recipes to fight acne, burn fat, detox your liver, and more! Nutrition facts and prep tips for every recipe! Any website that you can recommend to buy Spirulina cheap^^? Yea, spirulina is price-y. A good option is to buy them in capsule and tablet form (which is cheaper in the short-term since it contains less spirulina) which will last you exactly a month and will let you try it out and decide whether you would like to invest in taking it more constantly. If you do decide you love it, order it from iHerb along with other products that you need. If your total purchase is over $40, I believe, they give free and fast shipping. In addition, you can use coupon code KTS731 and get 10% off your first order. Spirulina is expensive, but that’ll at least help you save on shipping…as well as get 10% off. Hope that helps! You can order it from Amazon or if you’re going to ordering a lot of products at once – over $40 – order it from iHerb.com and you’ll get free, fast shipping. You can also use the coupon code KTS731 to get 10% off your first order. Hope that helps! If you are in EU you can order it on myprotein.com, it has really cheap prices and I tested it, DELICIOUS AND HEALTY! I like swanson.com and I get the cold press if you want the coconut aroma . Go for the Oil coconut, it tastes great with almost everything! You mentioned Flax and Chia seeds but omitted Anutra. This grain is superior to flaxseed in so many ways. You should look into it. Great article. I have tried most of these products and agree with you. I am also using Goji powder in my smoothies. What is up with Nutritional yeast? I have been told that it is the end all be all of healthy supplements. Any advice? Ah, nutritional yeast has been making its round in the health food circuit, hasn’t it? To be honest, I haven’t tried it – I’m more than happy with Brewer’s yeast for now. Maybe I’ll give it a try when my BY runs out. Let me know if you try it – and love it! I buy dried goji berries and grind them in my coffee grinder and add to smoothies. Great info, thanks! How do you feel about all-in-one powders like Vega One? Seems like it’s be easier than buying and adding all these ingredients separately, but not sure if the ingredient quality is the same. Thanks! hi, Ive done several juice cleanses myself in the past. currently I am trying to lose some weight and Im always interested in learning new methods to do so. does any one have any luck or experience with the honey and cinnamon tea trick? Thank you for the information. I see this was written a few years back and am wondering if you have written anything recently with updated information. I found this to be very helpful and am eager to learn more. Thank you!!! This is great information. I’m brand new to juicing. My question is how much of each of these do you add to a serving of juice and do you combine them or just do one per juice; do any of them conflict with others? I’m particularly interested in the Hemp Oil, Coconut Oil, Maca Geletanized Powder and Spirulina Powder. What are the recommended amounts and frequency of use for each? Thanks so much! WANT A FREE BOOK OF PRINTABLE JUICE RECIPES? You'll get health-boosting, fat-burning, skin-clearing juice recipes - all with nutrition facts and prep tips! Juicing Tips: To Peel or Not to Peel. Should You Juice the Peels? When Does Fresh Juice Lose Its Freshness? 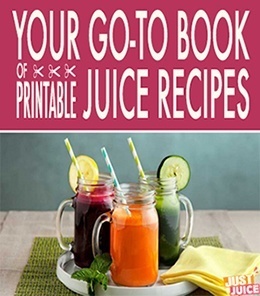 GET A FREE BOOK OF HEALTHY JUICE RECIPES! Juice recipes to fight acne, burn fat, detox your liver and more! Get calorie and nutrition info for each recipe (as well as prep tips)!